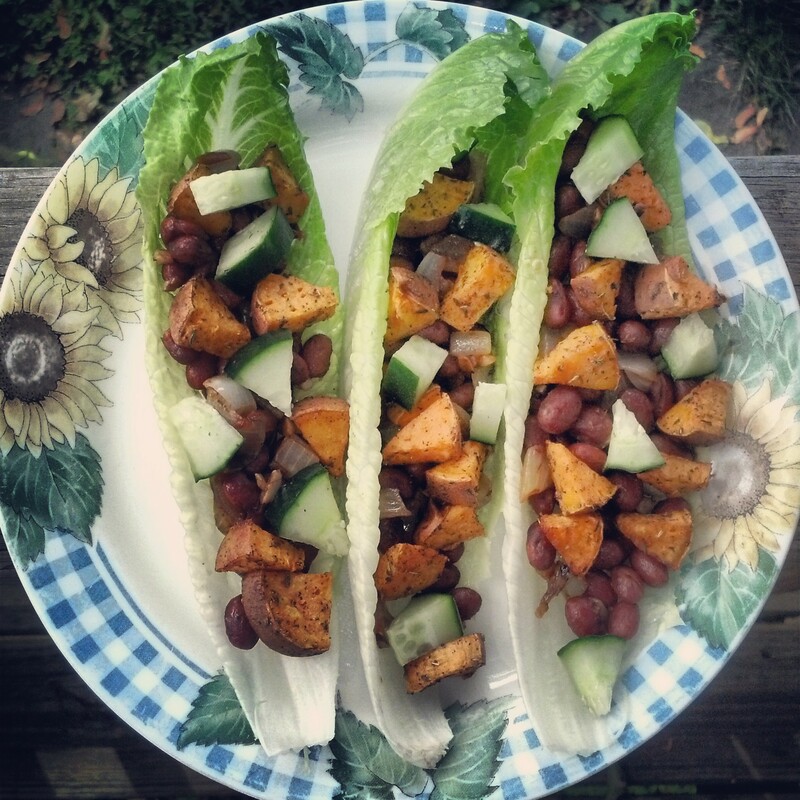 Vegan Lettuce Wraps – Love. Nourish. Heal. Heat oven to 400 degrees. Cut the sweet potato into small triangular wedges. Toss the wedges in a bowl with the cayenne pepper and lemon juice (I love spicy foods, so I tend to put more cayenne pepper than most. Feel free to use the amount you are most comfortable eating). Lay each wedge flat on an oven tray and roast for 25 minutes. In a skillet, add onions, garlic, and lemon juice. Sauté this until light browning occurs. Add the red beans and toss the mixture until the beans are cooked (approx. 8 minutes). Stuff each romaine lettuce piece with the sautéed bean mixture, sweet potato wedges and cucumber wedges. You can drizzle more lemon juice for taste. Eat it like a hot dog!